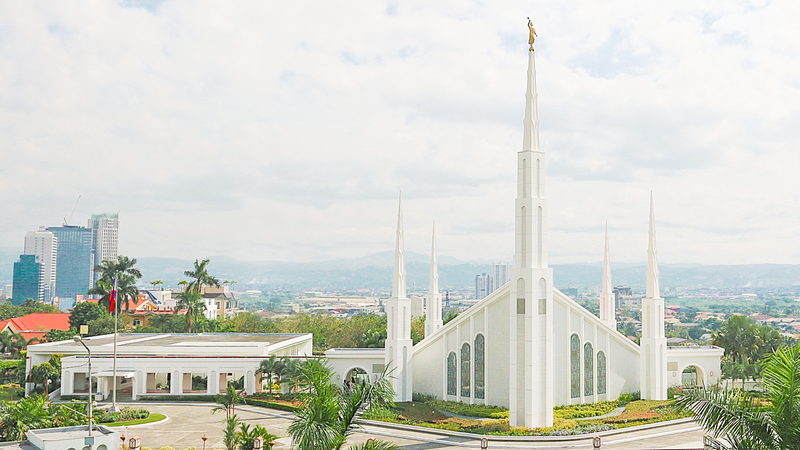 The Urdaneta Philippines temple of the Church of Jesus Christ of Latter-day Saints will be the third operating temple of the Church in the Philippines. Take a look at the other temples already in operation and learn why more and more temples are being built. Manila Philippines Temple The Manila Philippines Temple of the Church of Jesus Christ of Latter-day Saints was the first temple to be constructed in the Philippines. It was dedicated in September 1984 by Gordon B. Hinckley. Elder Jeffrey R. Holland of the Quorum of the Twelve Apostles presided at the groundbreaking ceremony for the Urdaneta Philippines temple on January 16, 2019. Urdaneta Philippines Temple Artist rendering of the Urdaneta Philippines Temple. On April 2, 2017, during the Sunday Morning Session of the 187th Annual General Conference, President Thomas S. Monson announced that a temple would be constructed in the greater Manila area. This will be the fourth temple to be built in the Philippines. President Russell M. Nelson announced the construction of the Cagayan de Oro Philippines Temple, the fifth temple for the Philippines, during his closing remarks at the Sunday Afternoon Session of General Conference on April 1, 2018. 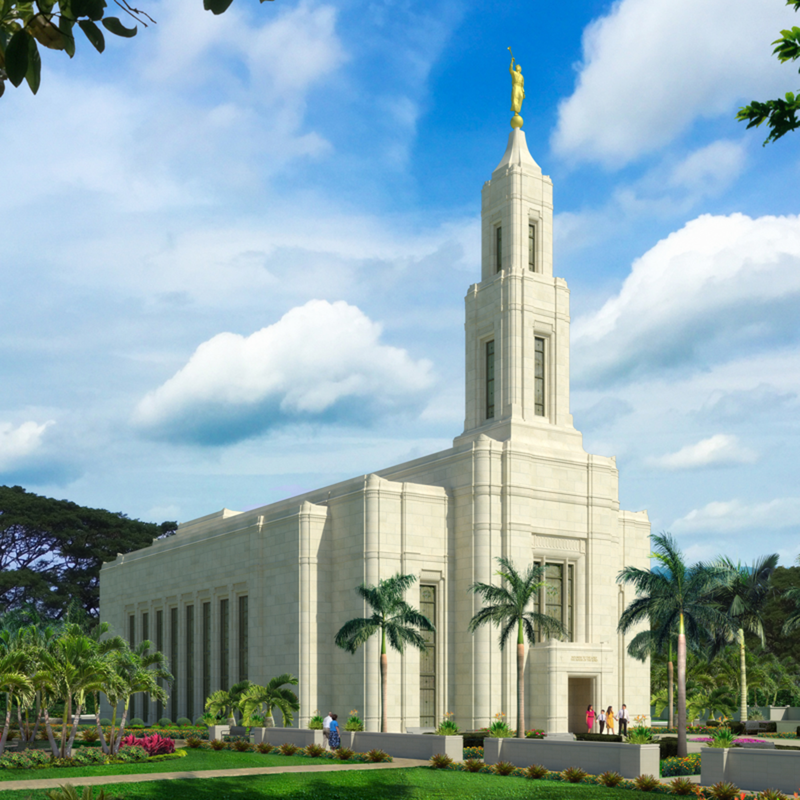 On October 7, 2018, President Russell M. Nelson also announced plans for the construction of a temple in Davao City, Philippines at the 188th Semiannual General Conference. This temple will be the second temple on the island of Mindanao, the second largest island in the Philippines. And will be the sixth temple in the Philippines. When temples are completed, an Open House is available for a time where anyone who is interested can go on a tour of the inside of the temple. The temple grounds are always open for the public to view, but after a period of a few weeks, the Open House will end and then only members of the Church with an approved recommend card will be able to go inside. Who decides where to build new temples? The Prophet and President of the Church of Jesus Christ of Latter-day Saints, currently Russell M. Nelson, makes announcements regarding when and where new temples will be built. He makes those decisions based on many factors. These include how many members of the Church live in a certain area, how far they have to travel to get to other temples and most importantly, he relies on revelation from God to let him know where new temples are needed. All temples are houses of God and have “Holiness to the Lord: The House of the Lord” written over the entrance. Inside, all temples perform the same ceremonies and serve the same purposes. On the outside, however, most temples are unique. Some have similar architecture to others that were built in a similar time period, but most stand alone in their design. Temples are designed to be beautiful additions to whatever city they are in and often include a nod to local architecture or design. 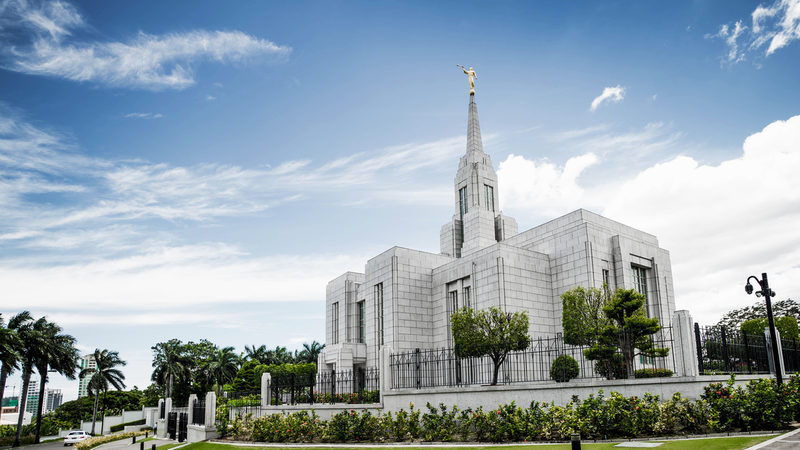 Temples are important to members of the Church of Jesus Christ of Latter-day Saints because of the special ceremonies that are performed and promises that are made there. Having temples built in cities all over the world gives more members of the Church the opportunity to participate. Click here to learn more about temples.